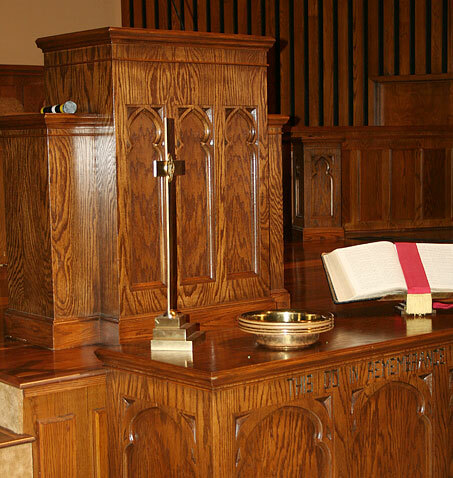 We can make your existing pews and chancel furniture look like new again. If your church has quality pews but the fabric is worn or the color is dated, consider our reupholstery and/or refinishing services. A renovation project for your sanctuary doesn’t have to include a new building project. Sometimes, an economic cosmetic boost is all a sanctuary needs. By simply painting the walls, replacing the carpet and reupholstering and/or refinishing the pews, a sanctuary can be revived – giving your members and community a renewed sense of pride in their place of worship. If you have solid wood pews, consider simply upholstering the seat to add color and comfort. If the woodwork of your furniture is showing wear and scratches, consider refinishing them to erase imperfections and restore them to their original luster. Your furniture will look as good as new at a savings of 30% – 50% over the cost of new. Since King Church Furniture has been manufacturing pews for more than six decades, we have had the pleasure of refinishing and/or reupholstering furniture for many of our early customers. In 1973, King Church Furniture manufactured the pews for the First Baptist Church of Geneva, Alabama. In September, 2009, they completed a beautiful renovation of their sanctuary; included in that renovation, was the refinish and reupholster of their pews and pulpit furniture – saving them thousands versus the cost of purchasing new. And, the end result – remarkable. Please feel free to call us at 1-800-895-5464 if you have any questions or comments, or if you would like a free catalog. We look forward to hearing from you. 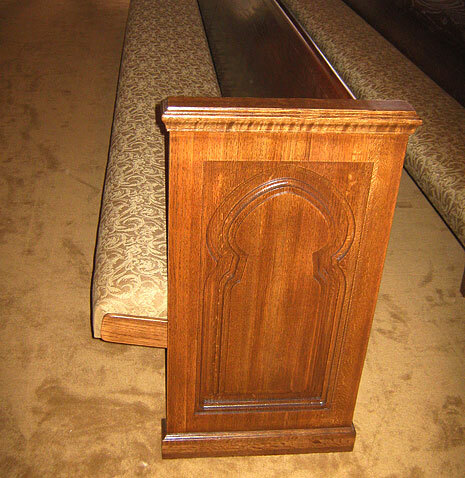 Complete this form to receive a quote on restoring your church's pews. About how many pews need reconditioning? About how long are your pews? If unsure please leave blank.